What better time to showcase my recent Nerd-Chic finds, than during the highly acclaimed New York Fashion Week? While other bloggers are going to be reporting on the latest designers runway reveals (which is always exciting), I decided that I will be bringing everyone some much needed fun! I mean, this is coming from the girl who wore suspenders to her first job interview...Not your average Fashion Blog! Below you see one of the coolest (if you are a NES nerd) sweaters EVER. 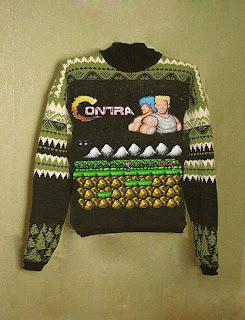 This sweater definitely has unlimited lives and I can assume the tag reads: Up, Down, Up, Down,Left, Right, Left, Right, A,B, A, B, Select, Start. I wonder if I can make a DIY Gold Game Genie shirt... thoughts? I also found these Lego Shoes recently and off the bat the look hard to walk in. That means they HAVE TO BE HIGH FASHION, right? Anyway, this is something Lady Gaga or Nicki Minaj has probably already worn. 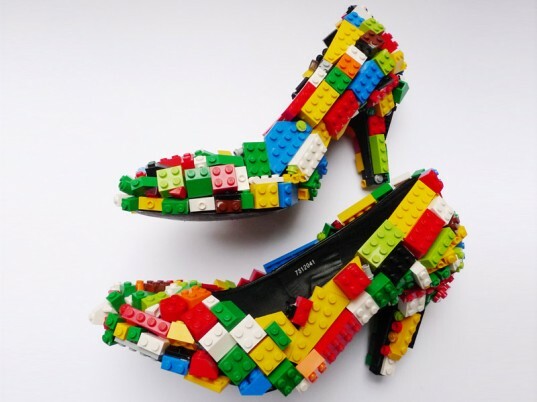 Has anyone seen them in a Lego dress yet? #MUSTVISITLEGOLAND. So, in all the glory and fun of High Fashion and current Fashion News, don't get intimidated-- just tell yourself: Nerd's Ain't Care. TRUTH.